Multi-gym accessory for bench press, incline bench press, shoulder press, lat pull, etc. Purchasing the Finnlo weight bench BioForce Power Bench, you get a perfect completion for the Hammer Finnlo multi-gym BioForce Extreme. 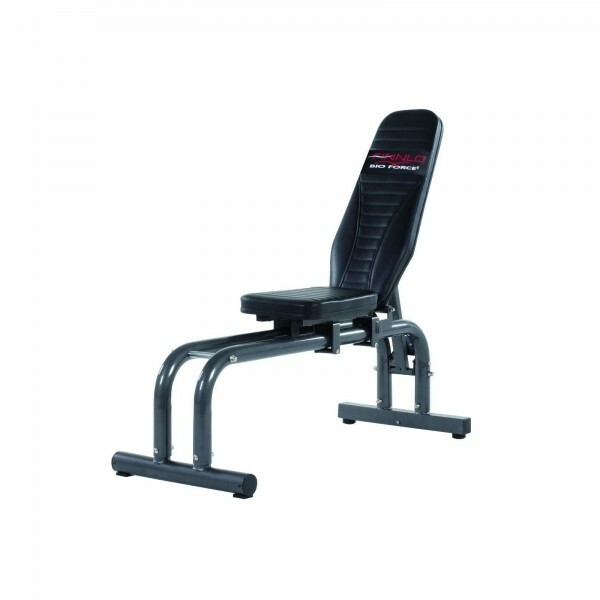 The additional weight bench is easily mounted on the multi-gym by a clip mechanism. The Finnlo weight bench BioForce Power Bench has a backrest, which is 5 times adjustable in incline, for doing more exercises on the Finnlo weight bench BioForce Power Bench. Bench press is possible as well as shoulder press. The training angle is better variable and effectivity is increased. The weight bench is stable and of very safe workmanship. A thick upholstery is mounted on a sturdy steel frame for an effective and comfortable workout. The Finnlo weight bench BioForce Power Bench can be loaded up to 135 kg. Great build quality, very stable and solid with firm padding. Wie alles von Finnlo super verarbeitet. Ich bin derzeit noch Anfänger und hab das Ding noch nicht oft in Verwendung gehabt. Mal sehn was die Zukunft bringt. Taurus Protective Mat 75 x 120 cm In stock!